The battle between John and The Mourner reaches its climax. How high will the body count go? 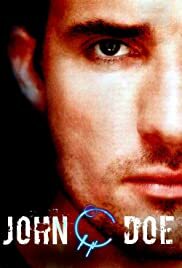 How many episodes of John Doe have you seen? Frank Hayes: Last time I went on a date was the opening night of Dances With Wolves. I had on MC Hammer pants and a gold earring. This is one of my favorite TV shows ever made. At first, I was skeptic, a guy who knows every thing and doesn't know who he is? Yeah, that is such a big deal. But after watching the premiere of Firefly, I decided too stick around. I was taken aback. The cinematography was wonderful, the constant but subtle transitions from color too black and white, the swirling angles. And yet, the plot was even better. Twists and turns fill the episode, and each one after that, and the series finale will leave you trying too catch up and awed at a finale surprise. but alas, Well never know how it ends, as it was cancelled. But it lives on in my mind, the soundtrack still echoing trough my head, the surprises I'm still thinking about. 57 of 61 people found this review helpful. Was this review helpful to you?